Loretta has supplemented her B.A.’s in Computer Science and Music/Theatre with courses in accounting and tax preparation. 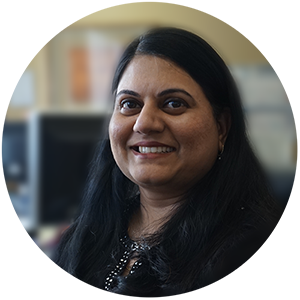 She is a Certified Professional Bookkeeper accredited through the Institute of Professional Bookkeepers of Canada. Loretta has over 25 years of experience in bookkeeping for micro-businesses including sole-proprietorships, partnerships, corporations, charities and special events. Her bookkeeping background includes group home, curling club, fast-food franchise, government-funded, non-profit, retail and insurance. Loretta has extensive knowledge with the QuickBooks accounting package and was part of the development testing team of the Canadian version from 1996 through 1999 where she was “Top Beta” tester of the year. Loretta’s background in computer science makes adapting to new software an enjoyable challenge. From 1995 through 2004, Loretta managed one of Canada’s largest third party transmission services for the E-Filing of income tax returns providing hardware and software support services for CA’s, CGA’s and seasonal tax preparers across Canada using any one of eight CRA approved tax software packages. 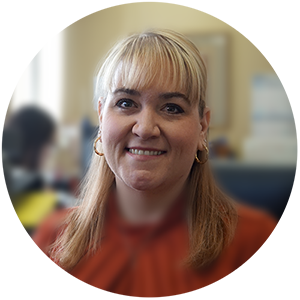 Loretta has experience with QuickBooks, FreshBooks, Sage, AccPac and Microsoft Dynamics. As a computer programmer, one is taught very early that their role is a “Problem Solver”. This skill is invaluable in providing full-service to tailor-made solutions for each bookkeeping or consulting contract. Patricia graduated from the Business Administration – Accounting Program at Cambrian College, where she made the Dean’s List for Academics in all three years. She went on to complete her education at Laurentian University where she obtained her Honors Bachelor of Commerce. While at Cambrian she worked for a local CGA where she gained experience in bookkeeping for numerous clients in a variety of fields from retail stores, fast food restaurants, and land and property developers. During University, she took a student position at Science North. After graduating she moved her way up in the accounting department working in numerous roles. Her work at Science North provided her with a wide variety of experience in inventory management, cash handling, large and small construction projects and large format film development and management. After leaving Science North, she joined the team at Highland Bookkeeping where she came back to her passion of bookkeeping. She helps to handle the books for numerous clients in a variety of fields. She loves the challenge this brings, as each day she can be working on something new. She has also spent a lot of time volunteering where she did cash handling for events such as The Northern Lights Festival and Summerfest. She served on the Sudbury Committee branch of Ducks Unlimited for more than 10 years, for 5 of these years she served as treasurer responsible for compiling year end reports and summaries for their annual charity dinner and auction. 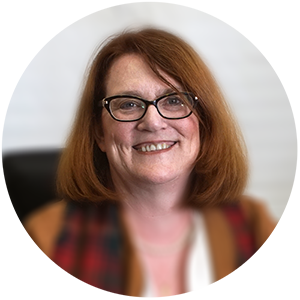 Carina has over 20 years of experience in customer service, with excellent communications skills, strong interpersonal skills and a desire to go above and beyond for our clients. Carina acquired these skills working as a cashier and a telephone customer service representative. 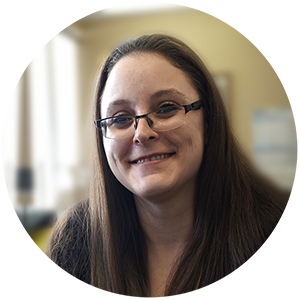 Carina graduated in 2008 from Cambrian College with a diploma in Early Childhood Education, achieving Scholar Status. After her two children were born, she ran a successful home daycare for 7 years, where she is self-taught in small business administration. Her attention to detail and enthusiasm for her work ensures she provides the best possible service to our clients. Carina is classically trained in Royal Conservatory Piano. She played trumpet for her high school concert and stage bands and has volunteered as a Civilian Instructor with the Navy League marching band. Carina is a devoted mom to Emma and Patrick. In her spare time, she enjoys playing slow pitch soft ball during the summer, and ringette in the winter. Sonal has a Masters in Commerce from Gujarat University, India. Her focus for her Bachelor was in Advanced Accounting and Auditing, and her focus for her Masters was in Cost Accounting & Auditing. She also supplemented her education with a Masters of Education and a Masters of Philosophy. She has 7 years of experience as a lecturer in Accounting at the Teacher Training Institute. During that time she also became a member of the Trust for the Administration of the Teacher Training Institute. She also supervised the bookkeeping work for the Institute as an In-charge Principal. Sonal received Permanent Canadian Residency in 2013. She joined Highland Bookkeeping in 2016 where she started her career as a Bookkeeper. In this position she utilizes her basic knowledge and interest in the accounting field. As part of her position with Highland Bookkeeping she has recently completed courses in Tax Preparation. She has experience in bookkeeping in a variety of fields including Fast Food Franchises, Government Funded Organizations, Non-Profit Organizations, Retail Establishments, Insurance Companies, and Law Firms.